← Random Panel: Wouldn't we all? I'll run down the options after the jump. The first question on all of these choices is "But WHEN in the fictional world?!" And the answer is, whichever one you choose, this is supposed to be fun and thought-provoking, people! The DC Universe: Life in the DC Universe isn't that bad. If you've got super powers, you rarely die. If you don't have super powers, you rarely die. And even if you do, you don't stay dead long. Nothing TOO horrible happens, and the good guys always win. So that's nice. The Marvel Universe: Not so much with the Marvel Universe. Odds are you're broke, or you have some horrific disease, or everyone's trying to kill your favorite relative, or the whole world despises your kind, or something equally unpleasant is in store for you. The Marvel Universe is a tough place to make a living, my friends. The Star Trek: Next Generation Universe: I bet the Federation is what the DCU turns into in the future. Everyone has enough to eat, violence in Federation space is rare, technology exists to make your everyday life wonderful, and you still get to shoot the snot out of aliens if that's what strikes your fancy. It's all a bit stuffy and conformist, though ... I'd be tempted to join the Romulans or the Klingons. The Battlestar Galactica Universe (current series): I don't actually watch this show, so I don't have much to say about it beyond noting that alien cybernetic babes are always super hot. The Lord of the Rings Universe: Medieval life seems all sunshine and hobbit magic from a distance, but I doubt it'd be all that great up close. I'd be missing indoor plumbing, modern health care, and the steam engine a whole lot. The Halo Universe: I didn't play Halo, so again I don't have much to say except that humans seem to end up on the menu for aliens an awful lot. That doesn't sound like my cup of tea. World of Warcraft Universe: WoW, on the other hand, would be pretty neat. Everyone's as attractive as they want to be, you can't die permanently, and you get to beat the tar out of the other guy whenever you want. Plus, Night-Elf chicks. The Star Wars Universe: This would largely depend on when in the saga I had to live. The Clone Wars period doesn't seem to be all that fun for most people. And no matter which chapter you're joining, it's probably best to be a Jedi. Of course if you were, you'd have a huge Jedicide waiting in your future, which puts a bit of a damper on the whole thing. The Wheel of Time Universe: I couldn't even finish reading the whole thing, much less live in it. Although slogging through each of the nine novels I did read felt like a lifetime, so maybe I already qualify. So looking over the list, I'd probably join the Star Trek universe if I could. The original vision was for a place where most fundamental human needs were met through fantastic technology, and people could largely become whatever they were willing to work to be. What would you pick, and why? Star Trek: TNG, no doubt. Hands down. Because no matter how bad things get, no matter how badly you might screw things up, you can ALWAYS fix it with a handy dandy “transporter accident” enabled time travel event. Works every time, lemme tell ya. I’d have to say Star Wars. It’s just grown into such a HUGE playground for various authors and artists that there’s gotta be a niche there for everyone. Marvel. Keep the real world life with powers. Nothing could be better except if my power was time control. 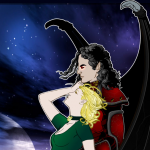 Its not one of your choices but I’d pick the World Of Velgarth ,,, Velgarth is the world where Mercedes Lackey’s Valdemar series takes place. I’d go Star Trek. Not much chance of being victim of a violent crime, good medical, and no need to work. Surely I could dig up some rock music and decent art in the historical record to spice up my completely bland apartment, assuming there aren’t actually laws against humans having an interesting living space. Halo all the way baby. Star Trek–it would give me the freedom to be a true Renaissance man, with no concerns for financing that life. hmmm… probably DC or Potter. I haven’t read many comics in a while, DC or otherwise, because at this point I have a really hard time following continuity, but I always the impression that there was less discrimination against superpowered individuals than there is in the Marvelverse. There’s enough groups that we mistreat as it is, you know? As for Potter, I think that it’d be pretty obvious: magic’s awesome. Star Wars…Definitely Star Wars, preferable in the Knights of the Old Republic era (4,000 years before the rise of the Empire). Besides, I want a droid. You should have added the McFarlane universe… Just to have a place, where you can experience a REALLY BAD DAY.